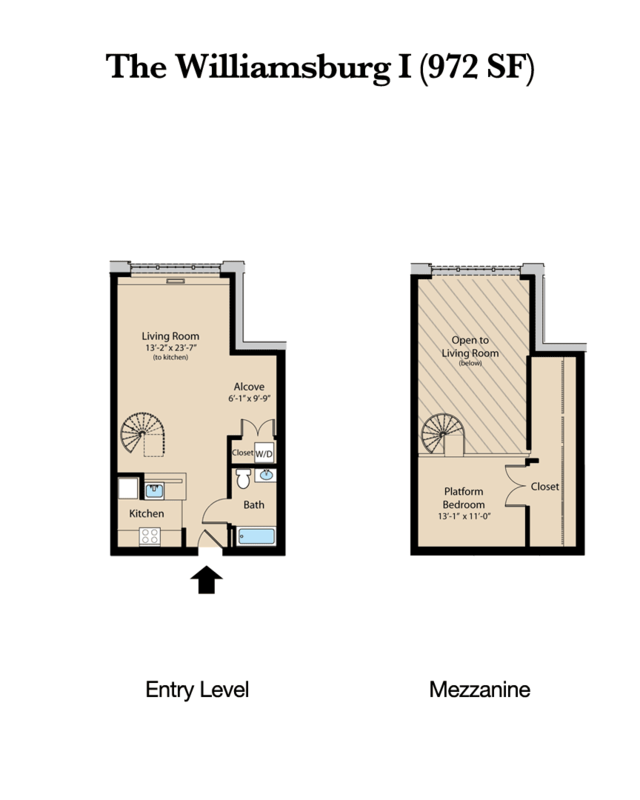 Unique 1-BR with living room alcove and extra storage space. 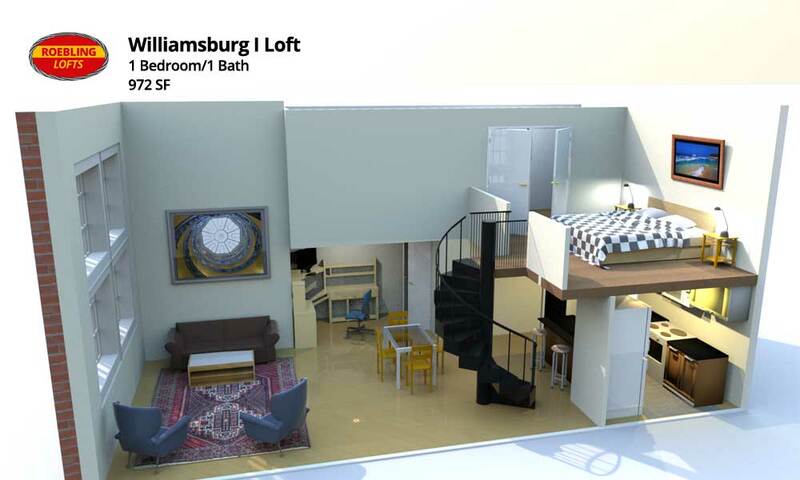 Each Williamsburg I loft provides a slightly different layout. Extra storage off of bedroom. Living room alcove suitable for a media center or office area. Spacious living room with alcove. Spacious bath with low flow fixtures.